So, now I have a finalised GBX format spec, and an emulator supporting the new format, I can finally get to releasing some GBX ROMs! And what better way to herald the arrival of a fancy new ROM format than, uh, *shuffles papers*, seven Makon games? That's right! Makon Soft Studios, makers of many highly-regarded classics, kept pumping em out all the way through the GBC era. These games do show some progression from their earlier stuff - they make WAY better use of colour, and sometimes even the music is more tolerable. Unfortunately they still suffer from too many control issues to be really enjoyable to play in any capacity. The publisher here still appears to be NT/Ka Sheng/Ka Sing/卡聖, but they've switched to a new mapper with half bankswitching functionality (used by these Makon games) and an entirely new mechanism for selecting multicart games (which I've yet to figure out, so no multicart dumps just yet). These games will only run in hhugboy v1.2.5 or later (although I recommend you use 1.2.6 or later since that fixes a save bug affecting at least one of these games). The GBX versions will run automatically, the raw .gbc format ones require you to manually select "NT (Makon) new" compatibility mode. First up! Mewtwo Strikes Back is a platform game more or less based on the superior unlicensed game "Pocket Monster" for Mega Drive and SNES. And with intro text attempting to tie it into the movie of the same name, with which it otherwise has no connection. Previously I dumped a Li Cheng hack of the Chinese version of this game, but now here's the English Makon original! HEALTH WARNING!! Pikachu's electric attack in this game (A button) causes one colour in the background to flash rapidly between yellow and red, in a manner reminiscent of the infamous Pokémon episode Dennō Senshi Porygon. The effect isn't too bad when viewed on a Game Boy, but especially in later stages it can appear quite intense when displayed at a larger size on a modern backlit screen. Therefore please use caution when playing this game if you are sensitive to flashing/strobe effects! Later, Makon revisited Mewtwo Strikes Back, as they so often did, rejigging it into a completely "new" game. So the stage order is changed and it's now about Digimon instead of Pokemon. But one actually useful addition they made here is a save feature! The game now automatically saves after every stage you clear, meaning you no longer have to complete the whole damn thing in one sitting. This makes reaching the ending a lot easier... except they took the ending out. HEALTH WARNING!! Since this game is basically just Mewtwo Strikes Back, the same red/yellow flashing effect is present here too. Another Digimon platform game, but this time they came up with something entirely new instead of rehashing a previous game! Probably for the last time! This one adds a mechanic whereby you have to fill up your "MP" bar by collecting items before being allowed to complete the level. Thanks to Robyn for dumping this one an extremely long time ago! Another Digimon game based on the Digimon 2 engine; I think this one may add more levels, although I haven't played through the entire thing to check. This is the Chinese version, I have an English version in my possession too and will hopefully be releasing that soon. That Digimon engine makes another appearance, but the hero this time is equally-popular bootleg target Harry Potter, in a game trying to pass itself off as a tie-in to Prisoner of Azkaban (the book, specifically). Unfortunately... this one is broken. 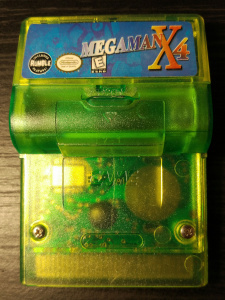 On the real cartridge as well as in emulation, it crashes halfway through level 1. It should be possible to hack the save file to access later levels, however. Tired of platform games yet? Good, because here's something completely different. It's a fighting game, based on Street Fighter Zero/Alpha 3! It's also a mess! I'm not entirely sure if this one is a "true" Makon production, since it seems to have more links to Sachen than their usual work; there are elements of Sachen GBC games here, most obviously the COMPLETELY out-of-place Jurassic Boy 2 theme on the title screen. But it was certainly published through the same routes as Makon's games. And finally! This is another fighting game, and another original release of a game I've previously dumped in Li Cheng-hacked form. Most notably, this version has a bunch of extra frames in the intro - which is interesting (to me) because they used a high-colour trick seldom used on the GBC, switching palettes on the fly as lines are drawn, to circumvent the system's usual palette restrictions. And as a game... it's also kind of a mess, but at least it has, like, four voice samples now! It is pretty different to Street Fighter Zero 4, to their credit, they didn't just take the old game and slap new characters in it. Thanks to Pepper9801 for lending this cart (also an extremely long time ago)! 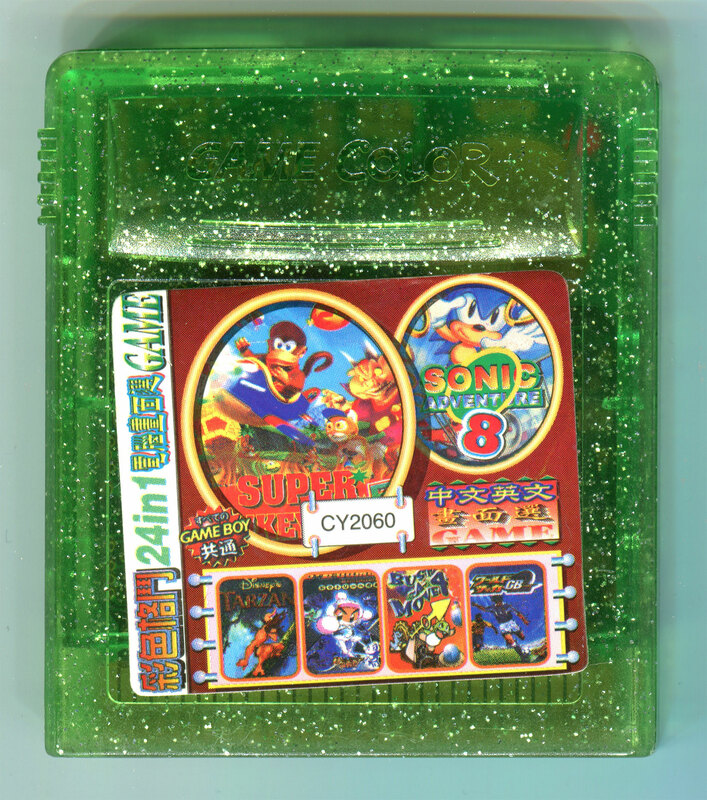 So first up: here's a multicart! 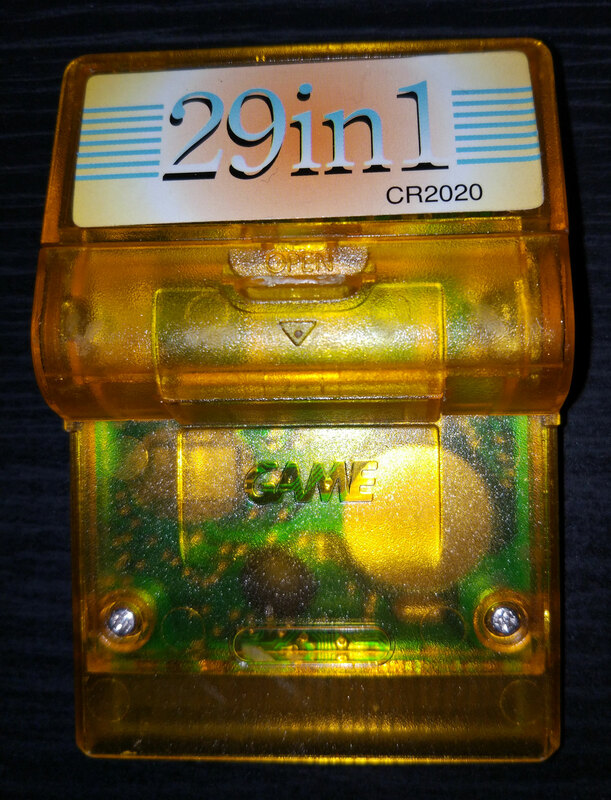 I picked this cartridge up recently, mostly because it bore several hallmarks of notorious bootleg cart makers 'Ka Sheng' (卡聖), also known as 'NT'. The 'NT-xxxx' ID, the 'New Game 2000' text, '(capacity) TRUE' in terrible WordArt; all of these are common features of NT carts on either the Famicom or Mega Drive. Not only that, the artwork used for Wario Land - with Bunny Mario edited in - is the same one employed for their release of "Wario Land 7" for Famicom. 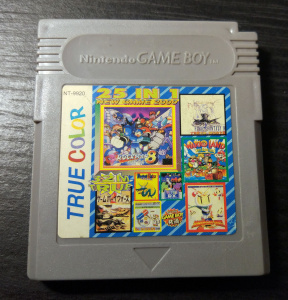 Now, although this is one of only a few Game Boy carts with explicitly NT-style IDs and text on it, MANY more were released in its wake featuring similar idiosyncratic design sensibilities to those employed on NT's Famicom labels, not to mention similar PCB codes, menus, and mappers. This line of carts also happens to encompass almost all games by the infamous developer Makon, from Rockman 8 onwards. So does this mean NT was Makon's publisher? Probably! Which would make sense, since it's known Makon contained at least one ex-Sachen staff member, while NT itself had published games by ex-Sachen devs for the Famicom. Here's the menu - as the label suggested, this multicart contains Makon's monochrome GB 'classic', Rockman 8, plus a bunch of regular GB/C stuff. So let's start up Rockman 8, in all its colourless gl.. So what's going on - did Makon colourise this game? NOPE the multicart did! 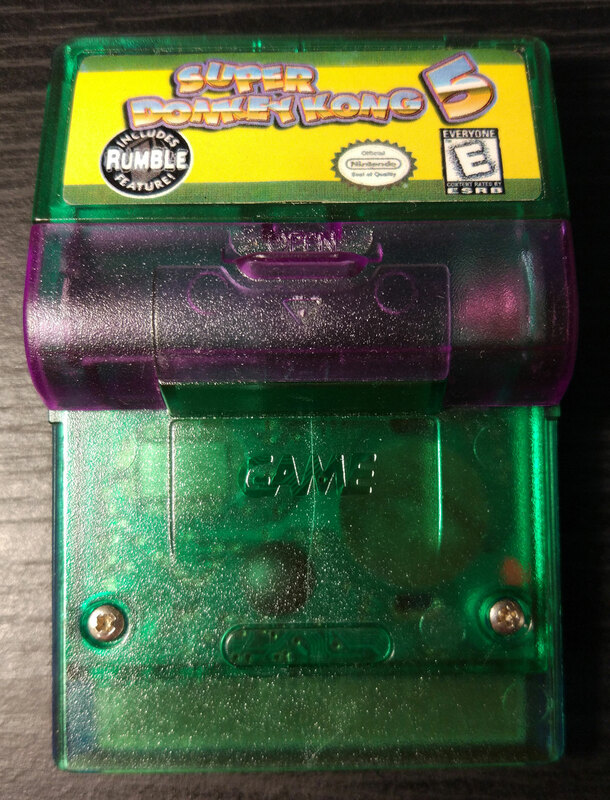 Unlike most Game Boy Color multicarts, which reset the system when booting a mono Game Boy game, this does not. Instead it loads its own set of default palettes into memory, then boots the game directly in GBC mode, giving each game a preset background and sprite palette. 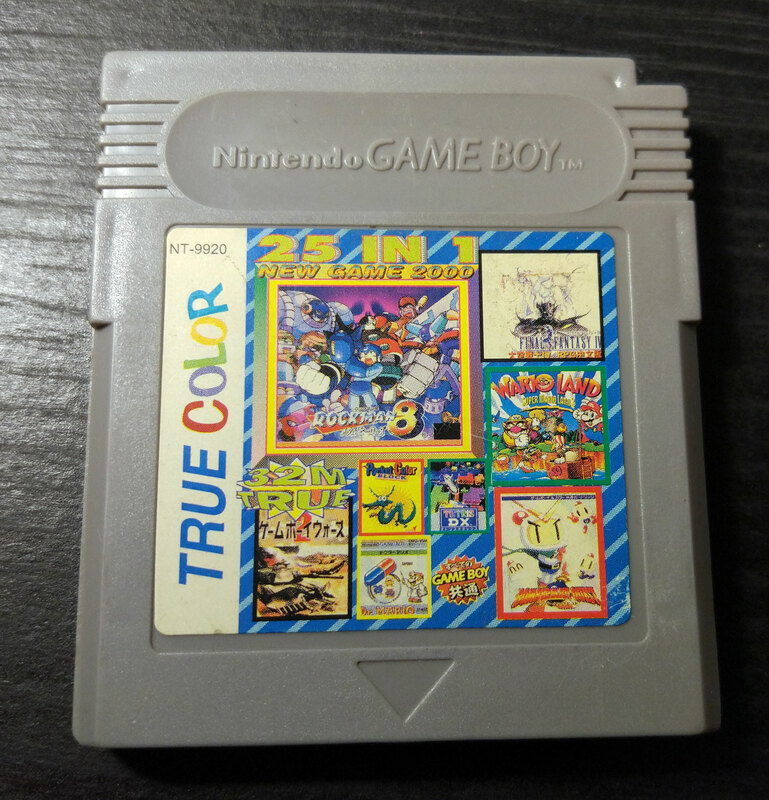 Other games mostly have an ugly red/green palette like Final Fantasy 4 here (a Chinese translation of SaGa 3), although Dr. Mario has a pretty neat blue/yellow one. Pocket Bomberman is the sole actually colour game here. Both Wario Land and Final Fantasy 4 can save data, but the cart has no kind of save banking support, so if you play one of those games it'll wipe out your save in the other. A similar issue can be seen in modern Famicom/NES multis. Anyway, here's the ROM! You'll need hhugboy v1.2 to run it. I also extracted Rockman 8 itself, which sadly runs in boring ol' monochrome. This game has been dumped already, but the existing dump is marked as 'bad' and I'm not entirely sure where it came from. The raw version again will only run in hhugboy v1.2, but I was also able to hack it to run under regular MBC1, which will work in any emulator or flashcart or whatever you care to mention. This one RUMBLES! Just like Pokemon Pinball and like 8 other games no one remembers! 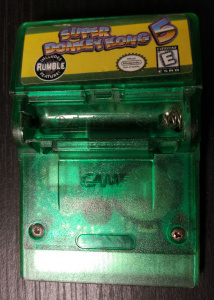 For a while Makon and NT leaned super heavily into this gimmick, with a string of multi- and single carts coming an in oversized, rumble-motor-packing design copied directly from Nintendo's own rumble carts, right down to its requirement for an additional AAA battery. The rumble motor in my cart is broken, but if it's anything like other Makon games it only uses the feature at the start of each stage and when you get hit by an enemy. This is possibly the first time this game has been completely emulated? Again there's another dump marked as 'bad' which possibly contains all the data but is smaller than the real thing; the complete dump is 512kb but it actually has less than 256kb of unique data. And here's the ROM! This uses a slight variation on the mapper used by the previous cart; this one is based on MBC3 while the 25 in 1 was based on MBC1. And here's Super Mario Special 3 extracted. Unfortunately I couldn't hack this one to a common mapper so easily, so it'll only work in hhugboy v1.2 for now. It's Super Donkey Kong 5! A colourised, rearranged version of Makon's mono game Super Donkey Kong 3. All of Makon's mono games (that I know of) would receive this treatment, and all of the colourisations were pretty shoddily done. 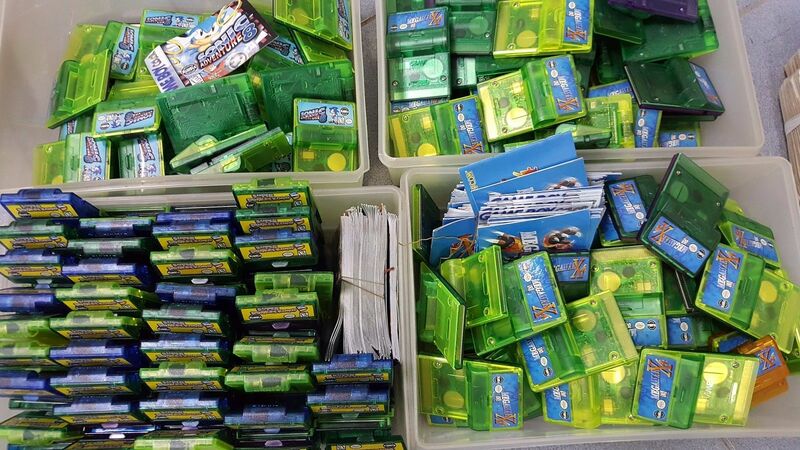 They almost resemble the palettes found on the two previous multicarts, but at least there's some variation. My cart does at least have a still-functioning rumble motor, and it's utilised a bit more creatively than the usual Makon fare, adding in a rumble when you bounce off an enemy. With this one I was once again able to mapper hack it, so you can enjoy(?) Super Donkey Kong 5 on any emulator your heart desires. new dump: Super Donkey Kong 3! So quite a while back I posted a video of a game entitled Super Donkey Kong 5 by Makon. This was basically an attempt at porting 4 stages from Donkey Kong Country 3, with the typical bad colour palette found in most early Makon GBC games. But it wasn't the original! 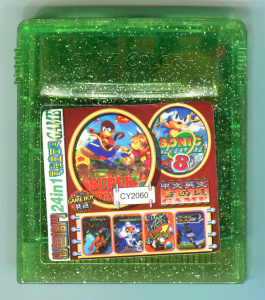 Before that there was a mono version with a different stage order, simply titled "Super Donkey Kong 3" (the same name as the Japanese version of DKC3) and released on a single cart even more simply titled "Donkey Kong 3". Needless to say, this release was often overlooked (including by me) as being nothing more than a pirate copy of Donkey Kong Land 3, and has remained fairly elusive. It seems to have been built on Sonic 3D Blast 5 (even sharing its header name) and will run in any emulator that supports that game. Update 2017-08-02: Emulator fixed version! So the reason the raw dump doesn't work in many emulators is that Makon used a PRETTY clever variant on a common protection trick. 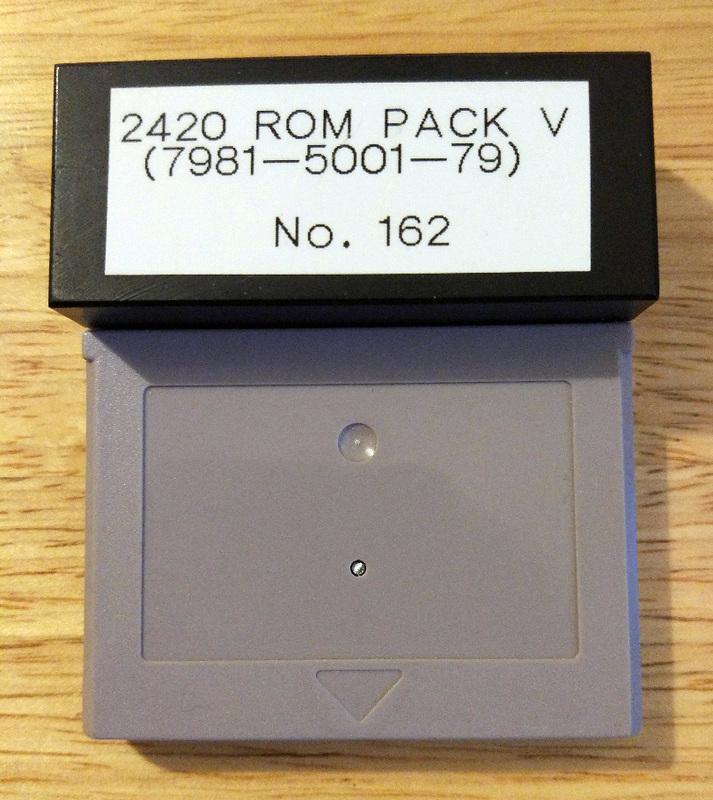 As a little background, the Game Boy ROM header contains some metadata, such as ROM size and cartridge type, which is never actually read by the console. 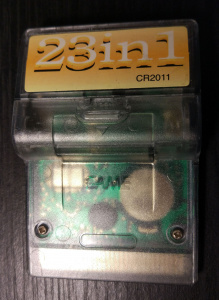 A cartridge with incorrect values in these positions will run just fine on a Game Boy. However, emulators and copiers usually rely on the header to figure out how to handle a given ROM - meaning they will fail if these values are incorrect. It was relatively common for unlicensed companies to set deliberately incorrect values in the header, providing a simple deterrent to casual piracy. 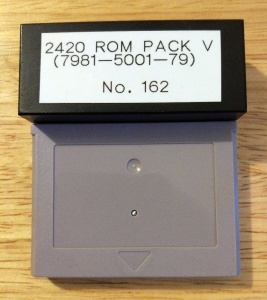 But if you're able to dump such a cartridge, it's usually sufficient to fix the header values to allow it to work normally in emulators (as long as it has no other copy protection). 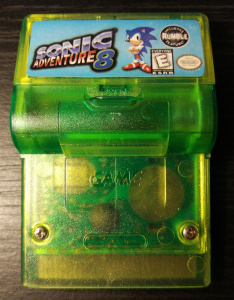 This game and Sonic 5 both have incorrect header values, and emulators that support them just override these values, so I assumed doing the same in the ROM would be a quick fix. And yet.. if I did that, it wouldn't boot. Which left me mystified for a good while. Maybe there was some code checking the header hadn't been tampered with? But no - even sneakier than that - what Makon did here was actually place frequently-used EXECUTABLE CODE in the header position, meaning any attempt to fix the header would break the game entirely. So in the end what I had to do was move that code elsewhere and replace all the references to it, allowing me to then update the header untrammelled, and giving you (finally) a .. somewhat more emulator-compatible bad Donkey Kong game. Enjoy! 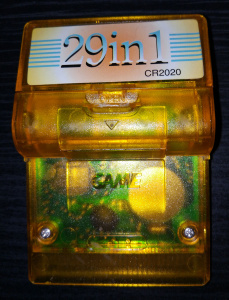 The cartridge this game was found on is titled "Matchless 23 in 1 (A)", and presumably was released sometime in 1998 shortly before the Game Boy Color (since it contains '98 release James Bond 007, but lacks any 'color' reference, which post-GBC multicarts nearly always have). 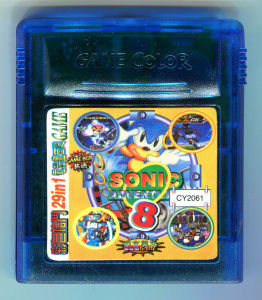 It has 18 unique games, with the remaining 5 being repeats under different titles. One interesting thing I was able to pull out of the multicart ROM, though, is a list of 208 titles for repeats, 128 of them unique; presumably this means variants of this cart with more-inflated game counts may have been produced, featuring such classics as BIG WOLF and OLD KARATEKA. 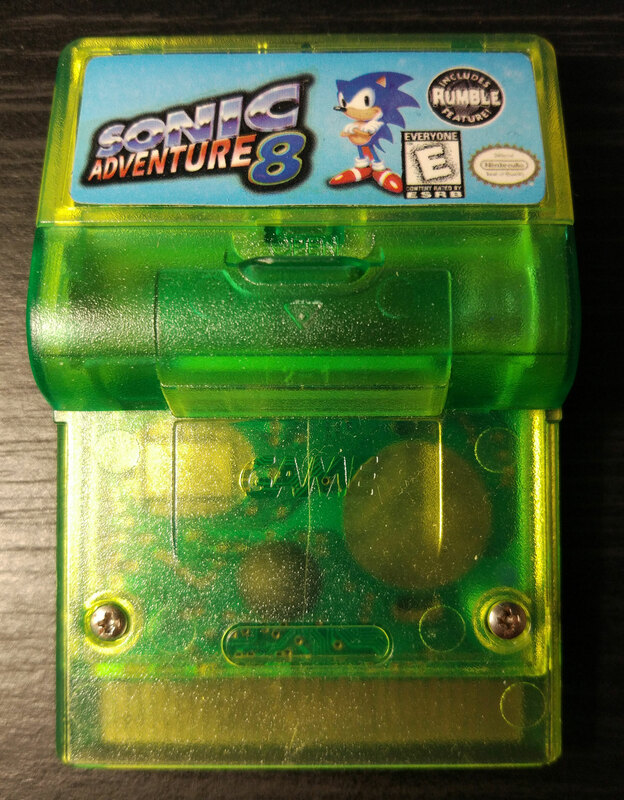 Looks like a prototype cart, and hardware-wise it pretty much is, but its purpose is something else entirely! There isn't much info on these things at all, but from what I can ascertain it's from a series of carts distributed to camera repair shops for camera diagnostics/adjustments/repair. Presumably at some point the camera manufacturer wanted to create a portable diagnostic tool and decided to base it around cheap commodity hardware - the Game Boy - rather than spending time and money on developing their own machine or using something more expensive and unnecessarily sophisticated for the job. 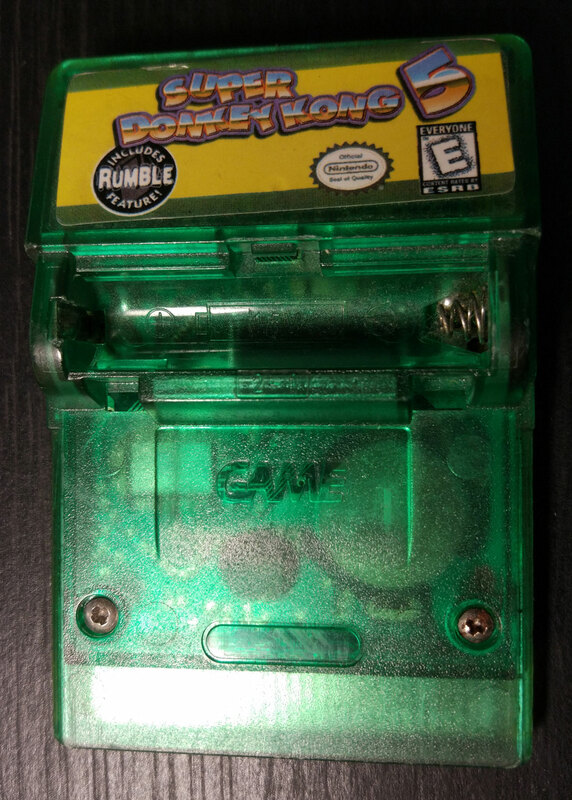 I only have this one cart, but Steven Seventyeight on Youtube has a bunch more, plus a modified 4-player adapter which was presumably used for connection to the cameras. I have neither the corresponding camera nor the adapter, so mine is not much more than a curiosity at this point. The original assumption is that these were likely for Ricoh cameras given Nintendo's history of working with them (e.g. for the chips used in the NES), but codeman38 identified some of the cart numbers as actually corresponding to internal model numbers for Minolta cameras. This document lists a bunch of them; the cameras seem to date from the mid-90s so presumably these carts would have been made around the same time. 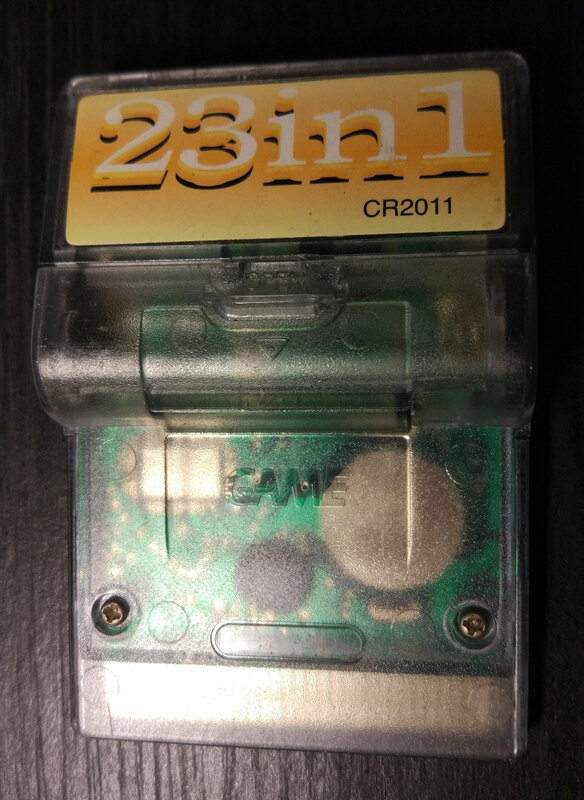 As mentioned, the case and PCB seem to be the same ones used for Game Boy prototypes; the PCB is Nintendo-made, labelled DMGC-MBC1-512K-EPROM1-01 and it has a 512kbit (64kbyte) EPROM installed stickered "2420V" (although the ROM is only 32kb and doesn't actually require the MBC at all). However it has a black plastic cover over the EPROM which I haven't seen on any existing prototypes, so it may have been custom-made for these carts to prevent damage to the chips. Without a camera connected you can't do much - most actions will lead you to this "I/O Error" screen. There isn't much in the ROM pointing to who programmed it, although there is an unused(?) 8x8 font that also appears in some early Taito games. However it feels more like it was programmed in-house by Minolta rather than outsourced to an experienced Game Boy developer; the UI is very 90s-camera-menu-like and its unusual use of the Game Boy's controls (Select to select menu options; A, B and Start are unused), plus it redrawing the whole screen on every button press, gives the impression of a programmer not used to working with the system. So the font may have been a leftover from them studying existing Game Boy software to figure out how it works.